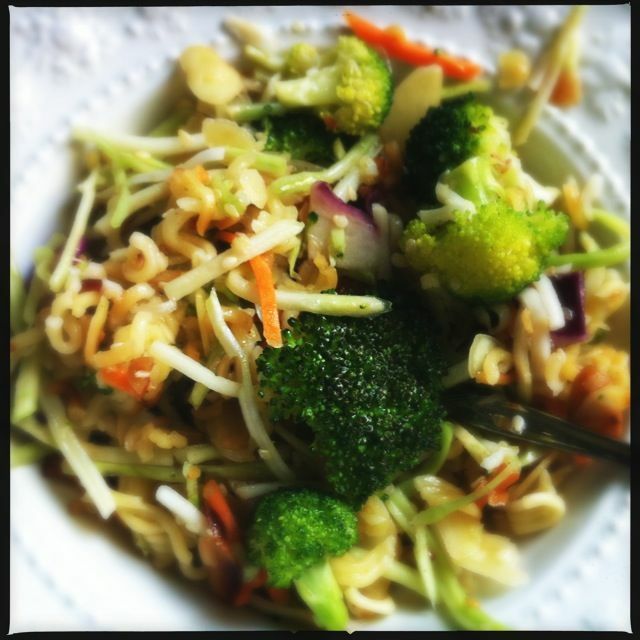 This Asian Broccoli Slaw is so addicting. My husband and I could sit down and eat this in one sitting — which isn’t good because this recipe makes a lot of slaw. Saute almonds, seeds and noodles in butter until lightly borwned. Set aside to cool, then store in refrigerator until ready to put the salad together. 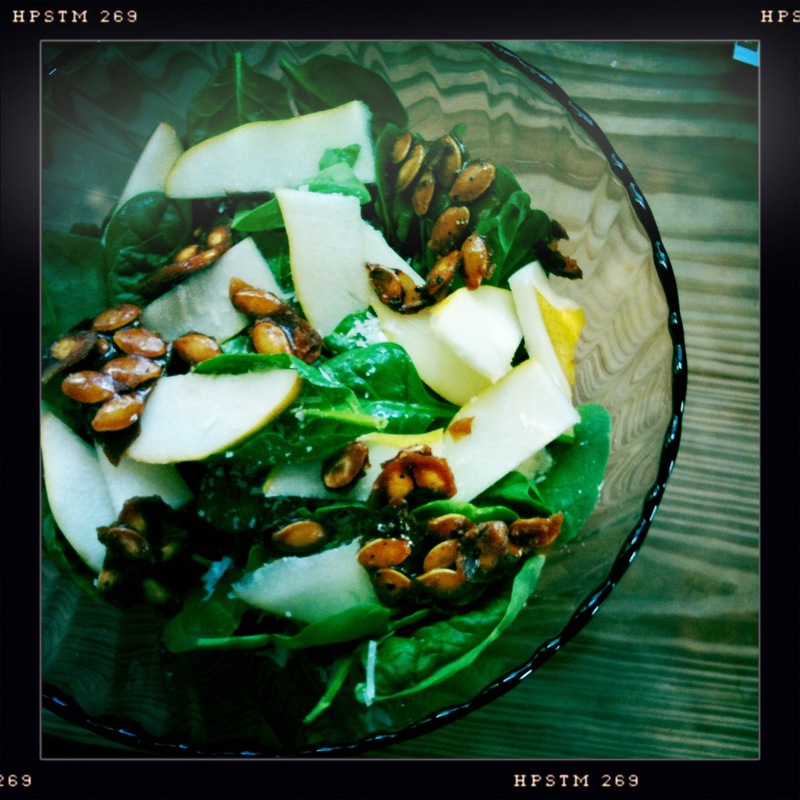 Stir dressing ingredients together well. Just before serving, combing all ingredients and toss lightly. My posts are few and far between for two reasons: I’m still visiting my parents and I haven’t been cooking much — sustaining myself with Thanksgiving leftovers. For many who are burned out with cooking, or just need an idea for tonight’s dinner, I shall remind you of the simple salad. One that can be dressed with your favorite fresh fruit, dried fruit, nuts, cheese, etc. 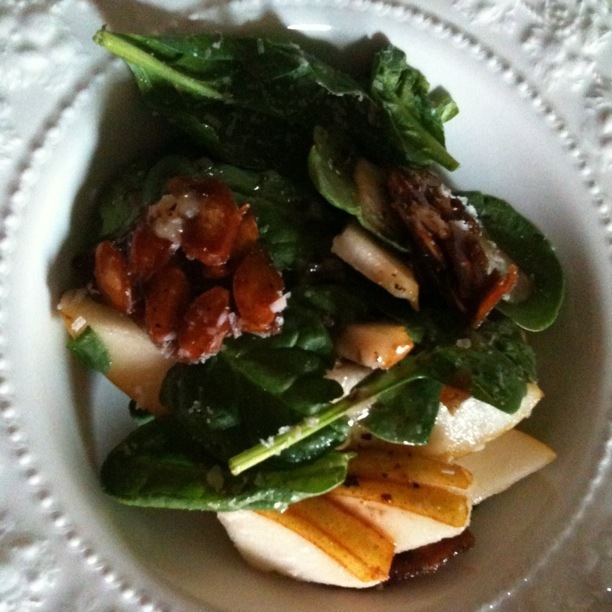 My favorite salad is one made of Spinach with Fresh Pears, Dried Cranberries, Gorgonzola Cheese and Toasted Brown Sugar Pumpkin Seeds, topped off with Balsamic Vinaigrette Dressing. For a vegan version, simply leave out the cheese and add any additional fruit that you enjoy. Easy, simple and delicious as a side dish or a main dish for any evening.